**Update - GeoChat has been released. ** GeoChat is one of those programs that ESRI has talked about in the past, but then went silent about. 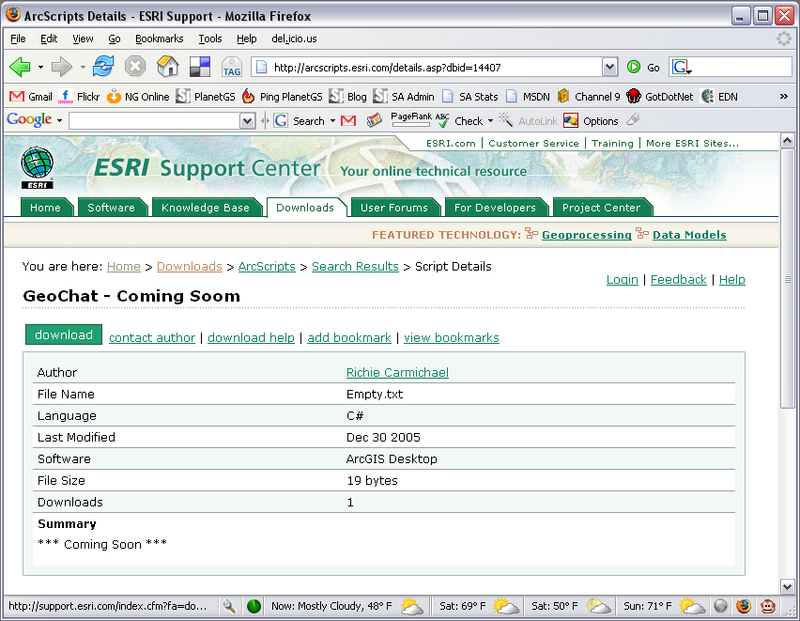 The thought among most of us is ESRI abandoned it, but it appears it might be released really soon. If you’ve missed ESRI’s announcement at the 2005 UC on GeoChat (or just have forgotten), you can check out Richie Carmichael’s blog entry for more information.